Viking today announced it took delivery of Viking Jupiter, the company's sixth ocean ship. 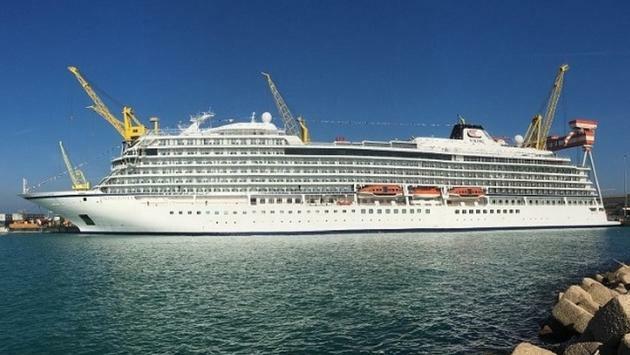 The delivery ceremony took place this morning when the ship was presented at Fincantieri's shipyard in Ancona, Italy. On February 16, Viking Jupiter will be the first in Viking's fleet to sail the Journey to Antiquities itinerary, a new itinerary sailing between Athens and Rome offering guests the chance to experience the Mediterranean during the quiet season. During its maiden season, Viking Jupiter will sail itineraries throughout the Mediterranean and then Scandinavia. The ship will officially be named in Oslo, Norway on June 6 by her ceremonial godmother, Sissel Kyrkjebø, the acclaimed Norwegian soprano. "It is always a proud moment when we are able to welcome a new ship to our fleet," said Torstein Hagen, Chairman of Viking. "Viking Jupiter is our sixth ocean vessel in just four years—a clear sign of the positive response to our approach to ocean cruising. We are different because we focus on the destination, and that resonates with our guests. We are pleased that with continued growth we have the opportunity to introduce even more travelers to the Viking way of exploration." Viking's ocean ships have a gross tonnage of 47,800 tons, with 465 staterooms that can host 930 guests. Viking Jupiter is part of Viking's award-winning ocean fleet of sister ships, which also includes Viking Star, Viking Sea, Viking Sky, Viking Sun and Viking Orion. Ten additional ships are also planned for delivery starting in 2021, which could bring Viking's ocean fleet to 16 ships by 2027. Designed for discerning travelers with interests in history, art, music and cuisine, Chairman Torstein Hagen often says Viking offers guests "the thinking person's cruise" as an alternative to mainstream cruises. Ships are small to get guests closer to their destination, with more time in port and more overnights. Onboard, guests find serene Scandinavian spaces, where every room is both beautiful and functional, quiet and filled with light. With the most al fresco dining opportunities at sea, featuring regional cuisine and always-available American classics, Viking's guests can truly dine in their destination. A focus on cultural enrichment brings immersive experiences on shore and on board. And only The Viking Way of exploration provides guests with itineraries that feature Local Life, Working World and Privileged Access experiences. 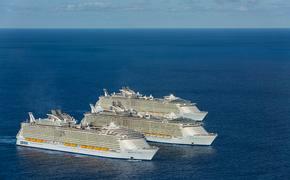 In addition, Viking offers a compelling value compared to other cruise lines. Every cruise fare includes an outside stateroom, a complimentary shore excursion in each port of call, all onboard meals and all port charges and government taxes. Guests also enjoy many complimentary amenities as part of their fare, including beer and wine with lunch and dinner service, alternative restaurant dining, free Wi-Fi, self-service laundry, access to the Thermal Suite in the LivNordic Spa and 24-hour room service.